Pensions and retirement aren't just for your grandparents. Although you may be certain you want to retire, you aren't guaranteed a pension. Pensions are typically offered in particular jobs, such as in the teaching profession, as a perk of a government or private sector job. Understand how a pension fits with your long-off retirement to better plan for the years ahead. 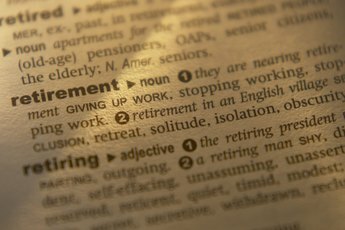 While retirement simply refers to when you choose to quit working, a pension is a specific amount of money you may receive from your company after you retire. Retirement is when you choose to stop working. It's often celebrated with a big party as you head off to the land of golf and lunch dates. People often work after retirement as consultants, substitute teachers or in short-term gigs that interest them or help pay the bills. It's a chance to continue to earn income, keep abreast of current thinking and stay active. A pension, on the other hand, is a defined amount of money paid to you when you retire that you've earned by working for a specific amount of time. Your company or union bases the amount you receive in retirement on how long you’ve worked in a job, your compensation and other factors. When you start drawing your pension when you retire, you can typically take it as a lump sum or a monthly payment. A pension is called a defined benefit because it entitles you to receive a specific amount. It is often stated as a calculation of the plan formula. For example, you may receive 1.5 percent of your average salary for the last eight years of employment for each year you worked at the company. Less often, the defined-benefit plan states a specific dollar amount, such as $750 per month. The benefits defined in the plan are protected by federal insurance. When you receive your pension, it's taxed at the federal level; some states also tax all of the pension money you receive. Planning ahead is a critical part of a good retirement. 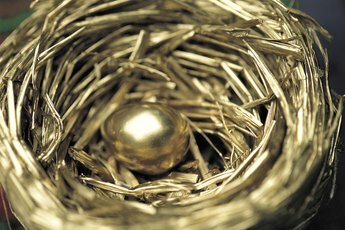 A pension is a rare bird; about 20 percent of employees are offered a pension these days, according to the U.S. Department of Labor. Look into 401(k) plans and other defined contribution plans offered through your work; these are methods of saving pretax dollars yourself. Your company may match the funds you put away, which is free money toward your retirement. In addition, evaluate the benefits of the various Individual Retirement Arrangements available from many sources, including brokers. 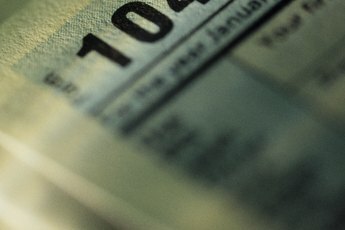 Investing in an IRA offers tax benefits to you either now or when you use the money for retirement. The earlier you start saving, the better, as early saving takes the most advantage of compounding interest. Saving in your 20s and 30s may seem difficult if you're buying a house or starting a family, but it's far less painful than starting to plan when you're in your 40s or 50s. Plan wisely, however. 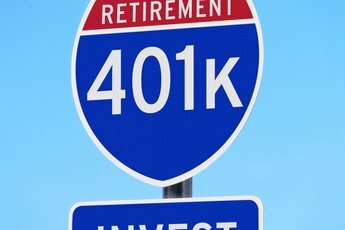 Investment vehicles specifically targeted to retirement, such as IRAs and 401(k)s, have age limits that restrict access until general retirement age. When setting up for retirement, especially if you're lucky enough to consider retiring early, check that your retirement investing takes your age at retirement into account. CNNMoney: Will I Pay Tax on My Pension Payouts? What Happens to Employee Retirement Plans When a Company Goes Bankrupt?